In our tired, aching, war-torn world, the concept of peace can be hard--if not impossible--to fathom. 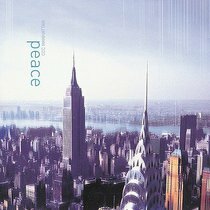 In Peace, CCC Manhattan invites listeners to a higher place, a deeper place, a place hidden from the world see. Where is this hidden realm? It's in the very heart of God--and it is a place of sure and certain peace. CCC Manhattan is the praise and worship team at the Manhattan-based C31 church. C31, which stands for Christian City Church International, began in 1980 with just twelve people meeting at a Sydney surf club hall. Today the church movement is more than 30,000 members strong, with 130 churches scattered throughout the U.S.A., Europe, Australia, New Zealand, Canada, and Asia.